The Pallet Loading System for the Mercedes Sprinter, Dodge Promaster, Ford Transit or any other cargo van is all about productivity! 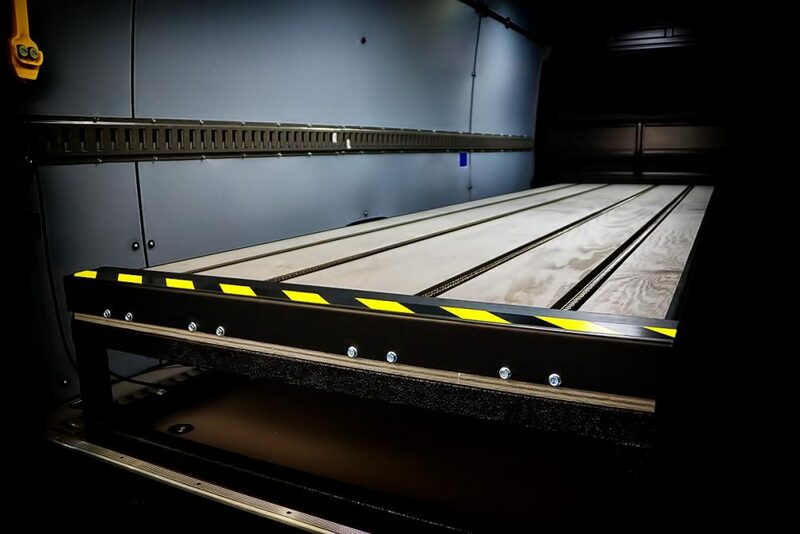 This is the world’s first pallet loading system designed that allows regular, non-modified Mercedes Sprinter Vans or other cargo vans to be loaded with pallets and other types of unit loads. We’re sure you’ll be happy with the pallet loading system! What is The Pallet Loading System? The unique pallet loading system provides proper weight distribution with rapid loading and unloading of cargo. The pallet loading system minimizes cargo damage and protects the vans floor from damage. The pallet loading system can be loaded with cargo from either the rear of the cargo van, or from the side door with a forklift. As pallets are loaded onto the pallet loading system, the heavy drive chain pulls them into place with a push of a button. When you’re ready to off-load your cargo, a forklift can drive up to your cargo van and start the off-loading process. Start Protecting Your Cargo With all of these incomparable features, the EZ Cargo Loader Pallet System is, without a doubt, your key to a safer, faster, more cost effective and accurate shipping operation. The Pallet Loading Design is unlike other cargo van accessories, each Pallet Loading Design is custom built for the client and their needs. We offer a selection of Pallet Loading Designs to accommodate the needs of user. 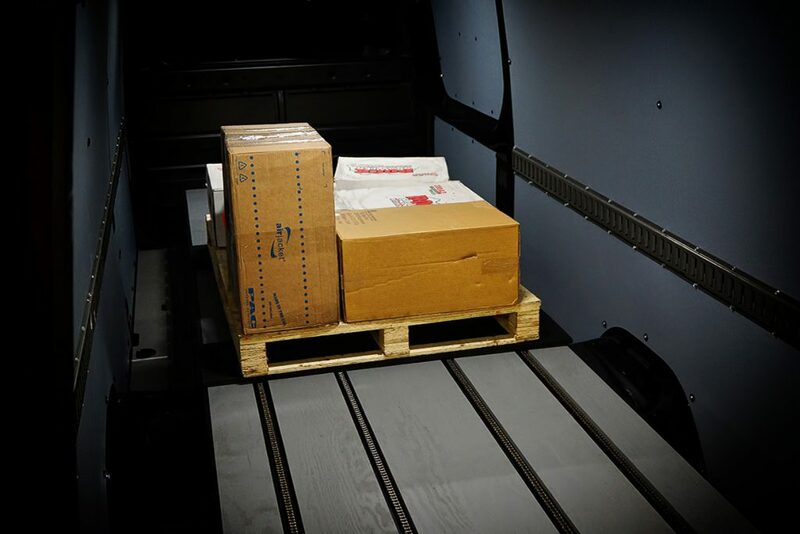 Traditional pallet loading design options creates havoc on your cargo vans transmission and suspension. You can view the video of the Pallet Loading System in action to the right. This entry was posted in Blog and tagged Cargo Van Loading, Dodge Promaster, Ford Transit, Mercedes Sprinter, Pallet Loading System.